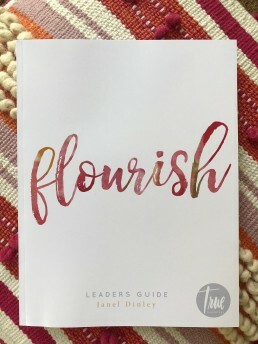 Flourish is a curriculum designed for women to lead with a group of 11-18 year old girls in a classroom-style setting. Flourish is broken down into eight, one-hour sessions which can be led at a pace set by the facilitator. Each session is full of practical tools, engaging activities, is driven by discussion, and encourages reflection. Flourish is an introduction to the four core foundations that we teach. Participants will understand their true value and the love of God so that they will be less likely to fall for the enemy’s lies and look for love in the wrong places. Participants will understand their true identity in Christ so that they will be less likely to try to place it in the things that are always changing in the world. Participants will know the promises of God so that they can stand on those promises when circumstances are difficult, allowing God’s truth to give them strength. Participants will understand that they were created for purpose and chosen by God, inspiring them to live a life of significance that glorifies Him. 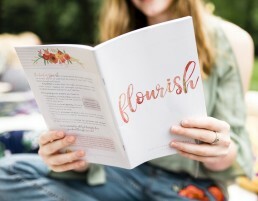 Ready to lead a group through our Flourish curriculum? Just head to our shop to purchase your Leader’s Guide. While you’re there check out the Participant Journals for your students!